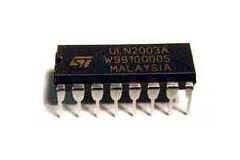 The ULN2003 is a monolithic high voltage and high current Darlington transistor arrays. 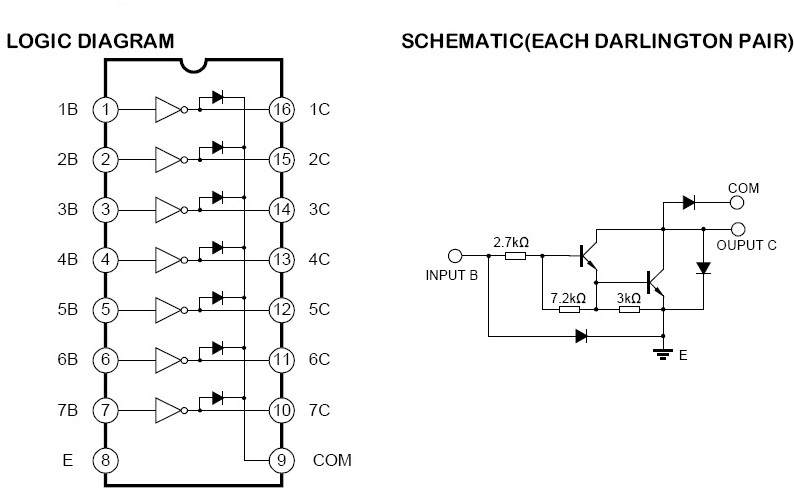 It consists of seven NPN darlington pairs that features high-voltage outputs with common-cathode clamp diode for switching inductive loads. The collector-current rating of a single darlington pair is 500mA. The darlington pairs may be parrlleled for higher current capability. Applications include relay drivers,hammer drivers, lampdrivers,display drivers(LED gas discharge),line drivers, and logic buffers. The ULN2003 has a 2.7kW series base resistor for each darlington pair for operation directly with TTL or 5V CMOS devices. Copyright by : blogjf. Simple theme. Theme images by luoman. Powered by Blogger.